How did the Sun and the planets around it form? It is not possible to go back in time to witness this spectacular event. However, we can do something that is almost equally good, namely study the solar systems that are being formed right now. Star formation is ongoing, and new stars are continuously being born within only a few hundred light years from the Earth. It is thus possible to study how stars and planets form, using sophisticated telescopes. During the earliest stages of star formation, powerful outflows of gas and dust are ejected at high velocities. Exactly how they are launched, is not fully understood but the mechanism has a close connection to planet forming disks. Although the outflowing gas is ejected away, outflows are extremely interesting to study, since they affect the growth of stars and how planets are formed. Young stars grow by accretion of matter from the surrounding cloud, but how this works is also not understood. To answer how outflows are launched and how stars accrete matter, are fundamental questions in star formation research. 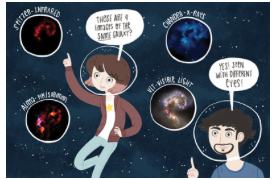 My research is focused on answering these questions, by observing the region close to young stars. The accelerations of outflows takes place within a distance of a few tenths of astronomical units from the central star (approximately the distance between the Sun and Neptune). Up until now, these regions have mainly been observed with telescopes where the spatial resolution is limited. It has only been possible to verify that a certain molecule is present close to the young star, but not exactly where it is present. The scene has, however, dramatically changed with the construction of the Atacama Large Millimeter/submillimeter Array (ALMA) in Chile. This observatory consist of more than 50 antennas, spread out over a distance of 16 kilometers. It is located in the Atacama desert in Chile at an altitude of 5000 m above sea level. The altitude is important, since the observatory is located above a large fraction of the atmosphere. Thus, it is possible to study the weak radiation from many different molecules, despite the fact that the radiation originates from a distance several hundred light years away. Thanks to the size of ALMA, it is possible to study star formation at a very high angular resolution. This is necessary, since planet forming disks, outflows and stars are born in relatively confined regions. 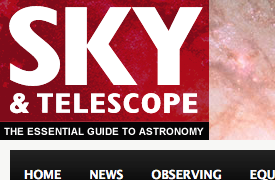 Below are some links to websites where you can read more about ALMA and ongoing research in astronomy. 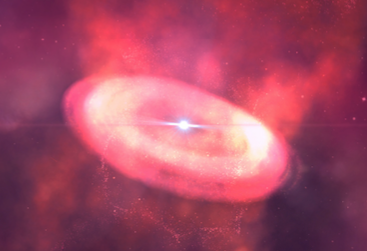 Artists impression of a planet forming disk launching an outflow (D. Lamm & P. Bjerkeli). 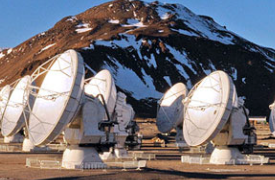 ESO's pages about the ALMA observatory in Chile. Per Bjerkeli © 2017. All Rights Reserved.